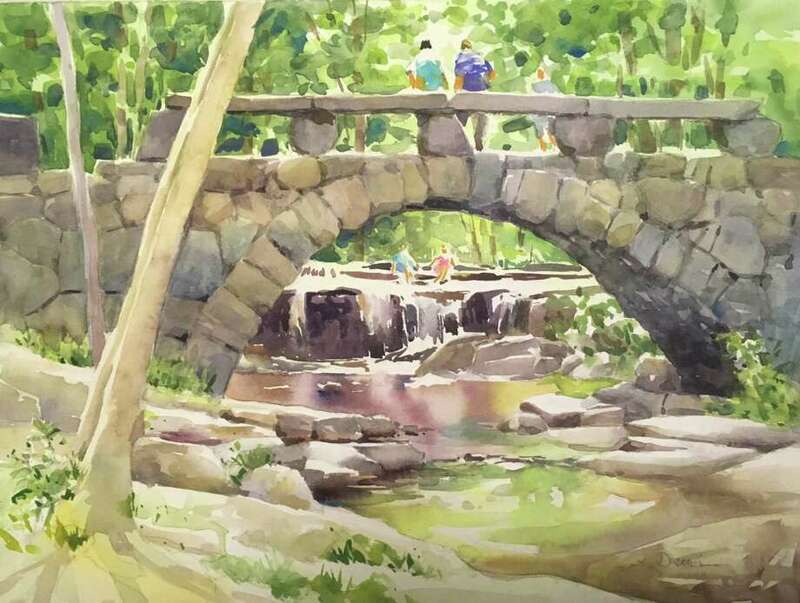 New Milford resident Diane Dubreuil will be among more than 75 artists participating in the 2018 New England Watercolor Society Signature Members Show in Boston. The event, which runs Feb. 6 through March 4, brings together some of New England’s finest watercolor artists (newenglandwatercolorsociety.org). Dubreuil will make a presentation about how she practices painting en plein air Feb. 18 at 1 p.m. The show will take place at the Guild of Boston Artists, 162 Newbury St. Internationally acclaimed artist Frederick C. Graff will be this year’s exhibition judge. Included in the exhibit schedule will be three Saturday gallery talks, each at 1 p.m., and three Sunday painting demonstrations, each from 1 to 3 p.m., by member artists. The show, which is free, is open Tuesdays through Saturdays from 10:30 a.m. to 5:30 p.m., and Sundays from noon to 4 p.m.
An artists reception and awards ceremony are planned Feb. 10 from 2 to 4 p.m.